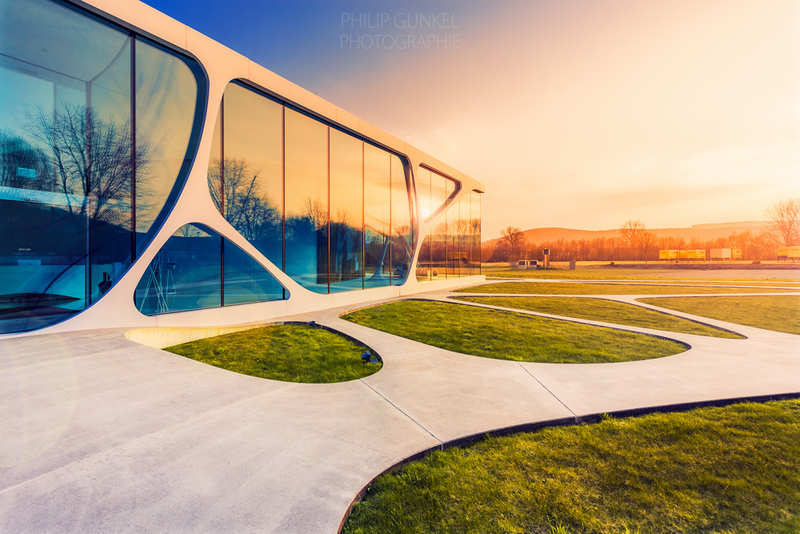 After interviewing Philip Gunkel last year, it was exciting to hear from the man himself about his latest architectural photography project LEONARDO GLASS CUBE Germany 2015. 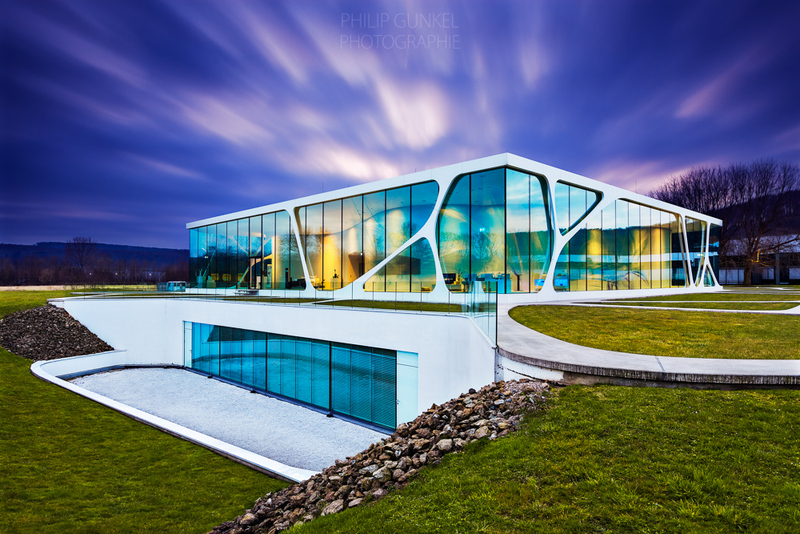 I photographed this project in April in cooperation with Leonardo to extend my architectural portfolio. I really loved the overall architectural design from the very first time I saw it. 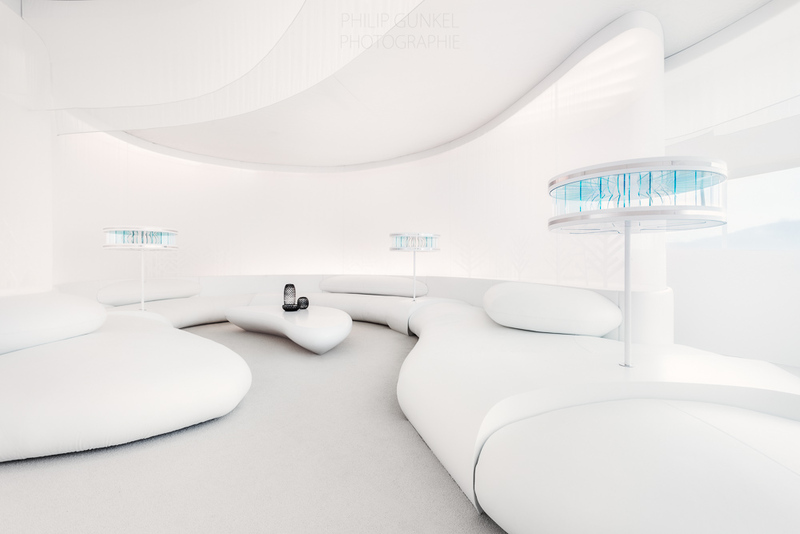 The all natural looking flowing forms, curves and the white abstract designed structures together with awesome interior light installations created a very calm and positive atmosphere. 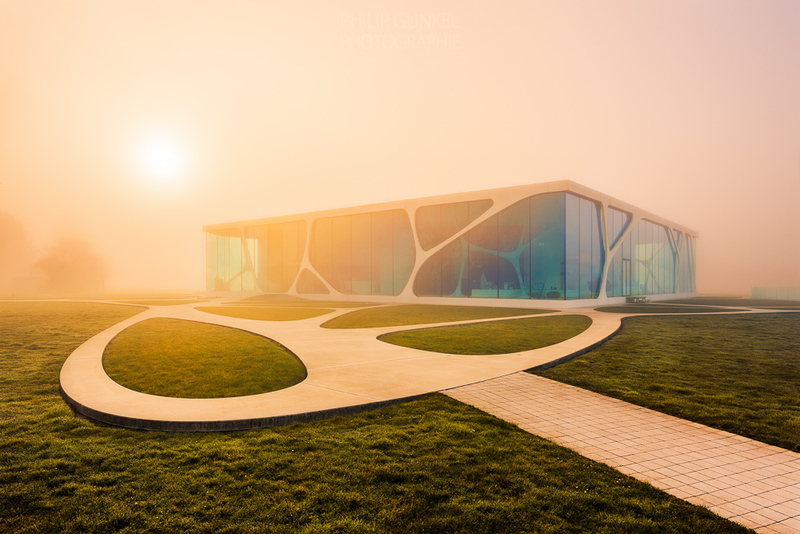 One other highlight from the project was the 6m tall free-standing glass facade, which was produced by Leonardo and foliated with analog medium format landscape prints that you can see from the inside. On location I shot this building for four days plus another day for the inside. The post processing all of the 23 photos included a lot of manual blending, color corrections and some heavy pano stitchings. The total project took about two and a half months to finish, having worked on it for maybe about two hours a day ~ 150 hrs total. The ‘glass cube’ communicates the world and personality of the brand LEONARDO and turns vision into reality. The numerously awarded design unites the brand values ‘inspiration’, ‘emotion’ and ‘quality’ in an architectonic way. An interdisciplinary design team,the team of architects from ‘3deluxe’ designed the futuristic building for LEONARDO which consists (at first sight) of two opposing elements: a strict geometric cube and a free form made of curved, white walls, set in this cover. With the combination of architecture, interior and graphical design as well as landscaping to an integrated design concept, ‘3deluxe’ built a complex unit with futuristic charm. The design team ‘3deluxe’ formed up in Wiesbaden (Germany) in 1992, comprising of communication designers Andreas and Stephan Lauhoff, interior designer Nikolaus Schweiger and designer Dieter Brell. Thanks for sharing your latest project with us Philip! 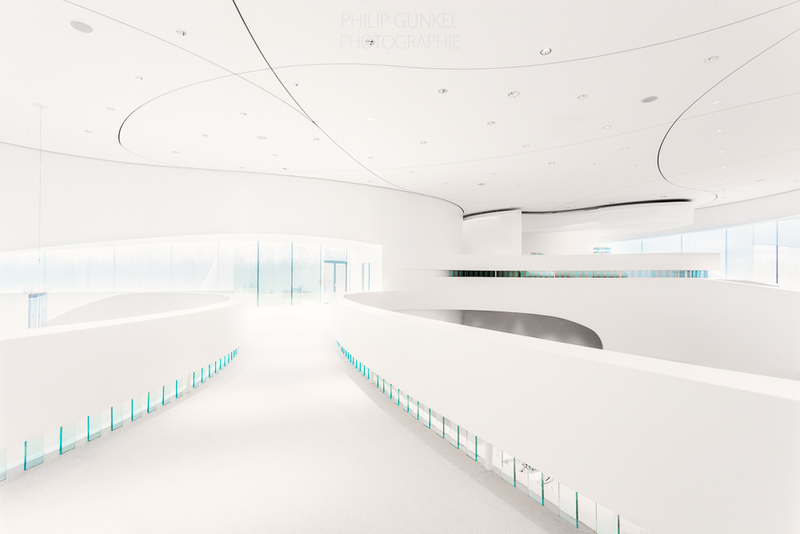 If you would like to see more of Philip Gunkel’s portfolio then head over to his website.